Aardman Animations announced today that it will launch its own branded channel on Joost, the world’s first broadcast-quality Internet television service. The Aardman channel will offer classic animated shows from the studio, such as CREATURE COMFORTS and MORPH, surreal comedies REX THE RUNT, PANIC IN THE VILLAGE and The Adventures of Jeffrey, plus some brand-new short films. 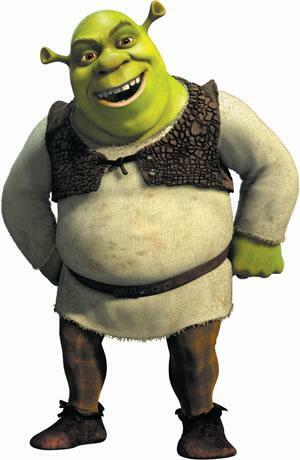 “That first Shrek saved the company financially. We’re here today because of it. It’s been a great blessing. I refer to it as the gift that keeps on giving” said Jeffrey Katzenberg of DreamWorks. Family Guy will begin its fifth season with an hour-long episode retelling the STAR WARS adventure. Peter Griffin will be Han Solo, Lois will play the role of Princess Leia. 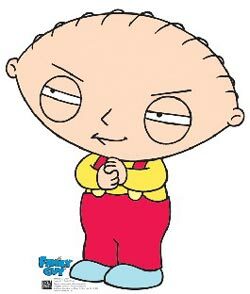 Stewie will be Darth Vader. Brian plays Chewbacca and Chris will be Luke. Cleveland and Quagmire will play R2-D2 and C-3PO. Obi-Wan Kenobi will be played by creepy old guy Herbert. Wackiki Wabbit is a 1943 Warner Bros. Merrie Melodies cartoon starring Bugs Bunny and directed by Chuck Jones. The cartoon opens with two castaways adrift on a small raft in the middle of the ocean. Hunger starts to overcome them, to the point where they start imagining each other as food. So, if I am interested in being a writer for animation, what steps would I take? Carolyn: Get people to read them. Keep improving them. 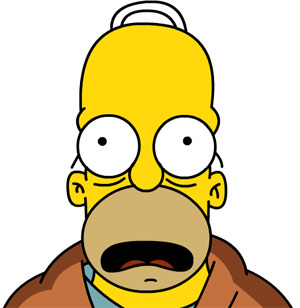 I’m often given scripts to read and I don’t have a lot of times to read scripts by new writers (I can barely keep up with all the reading I have to do for my job), but when I have read someone’s script and I give notes — I am shocked at how often that is met with such resistance. 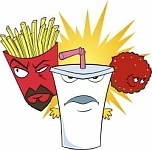 The criminal charges against Peter Berdovsky and Sean Stevens who carried out the AQUA TEEN HUNGER FORCE movie’s guerilla marketing campaign, which caused a bomb scare in Boston in January, have been dropped. Peter Berdovsky and Sean Stevens could have been sentenced up to five years in jail, instead they performed community service at the Spaulding Rehabilitation Hospital where they designed a mural and helped with repairs on the facility’s Charles River sailing docks. Steven Spielberg has partnered with Peter Jackson to produce and direct a trilogy of firms based on the TINTIN comicstrop. Both will direct all three movies while each will direct at least one of the three. Peter Jackson’s WETA Digital will be incharge of all the 3D work. For the trilogy, Spielberg and Jackson have chosen three stories from the 23 book series, THE ADVENTURES OF TINTIN, which was published between 1929 and 1976.